Monitor Audio Radius R270 - Gorgeous looks allied to our award-winning speaker engineering allow the all new Monitor Audio Radius 270 C-CAM (replaces Radius 270 HD) to make an emphatic design statement in any room and in both music and AV systems. 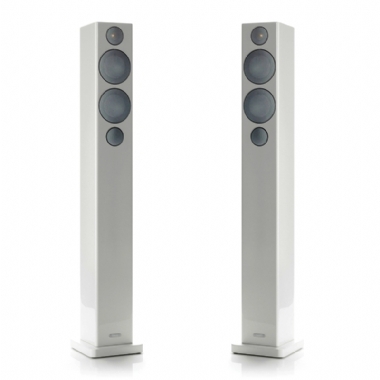 It offers the naturally fluid full-range sound of our acclaimed hi-fi speaker ranges in an elegantly proportioned tower, which is easy to position and simply radiates lifestyle appeal. Use the 270 with the 225 or 200 for scintillating home theatre audio, or with the 380/390 sub in a discreet, super-chic two-channel system worthy of the finest room designs and media collections. Its statuesque cabinet houses a precision-crafted Radius driver system of twin 100mm (4”) C-CAM® mid/bass drivers and a 25mm (1”) C-CAM tweeter, which ensures perfect acoustic matching with other Radius speakers in multi-channel applications, and the wide, even quality of sound that reflects the expertise of its engineering and heritage.